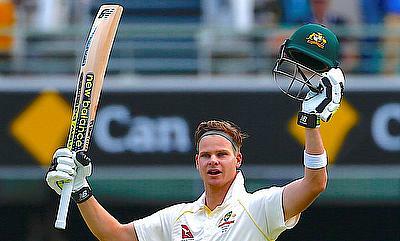 For scoring an unbeaten 141 run knock that set up Australia's 10-wicket win in the opening game of the Ashes series against England in Brisbane, Steven Smith is the Cricket World Player of the Week. The Australian captain came in the crease with his team precariously placed at 30 for two after losing Cameron Bancroft and Usman Khawaja early and the trouble further compounded for the home side after they lost David Warner and Peter Handscomb as well that left them reeling at 76 for four in response to England's first innings total of 302. 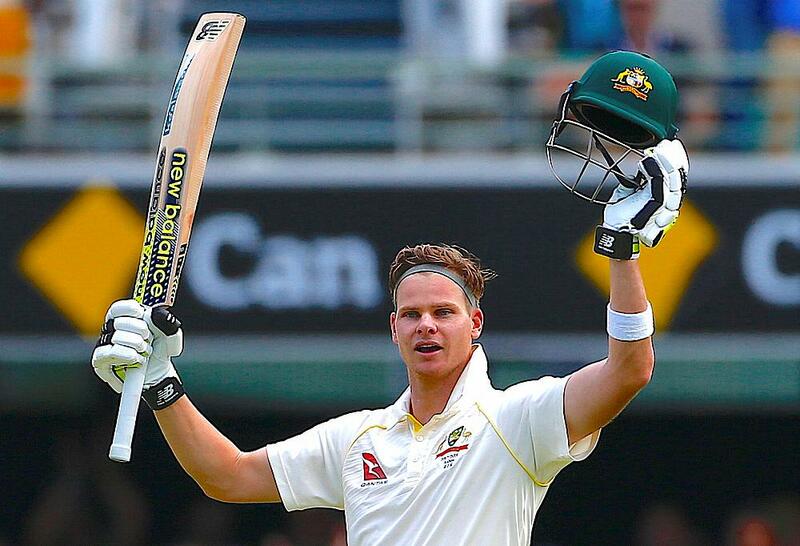 Smith along with Shaun Marsh, who himself managed a half century successfully negotiated the rest of the second day's play without losing any more wicket. Smith was put under considerable pressure on day three by the England bowlers as he was allowed to score just 17 runs in the entire session but wickets tumbling around, he had to up the ante and successfully helped Australia overhaul England's total by 26 runs which looked improbable at one stage. Pat Cummins also played a handy role with a 42 run knock. James Vince, Dawid Malan and Mark Stoneman scored half-centuries for England in the first innings while skipper Joe Root managed a fifty in the second innings for England. Chasing a modest score of 170 in the final innings, Warner and Bancroft scored unbeaten 87 and 82 respectively to help Australia complete a 10-wicket victory. The second Test between India and Sri Lanka in Nagpur saw Virat Kohli slam a double century while Cheteshwar Pujara, Murali Vijay and Rohit Sharma notched centuries. Ravichandran Ashwin picked eight wickets overall in the game while Ishant Sharma and Ravindra Jadeja picked five each to help India complete an innings victory and a 1-0 unassailable lead in the series. There were some special performances in the ongoing Bangladesh Premier League as well. Sunil Narine slammed a brilliant 76 but his efforts was undone by Shoaib Malik's half-century in the 21st game between Comilla and Dhaka. Chris Gayle and Nasir Hossain also scored scintillating half-centuries for Rangpur and Sylhet in the 22nd game. Fifties from Mushfiqur Rahim and Dwayne Smith went in vain for Rajshahi in game 23 as Khulna completed a last over chase with a 56 run knock from Mahmudullah and a four wicket haul from Junaid Khan. Mohammad Sami's figures of nine for four and a blistering 14-ball 47 from Darren Sammy for Rajshahi are other notable performances from the week.